If you're a faithful homify reader, you should have at least a little bit of knowledge when it comes to prefab homes. 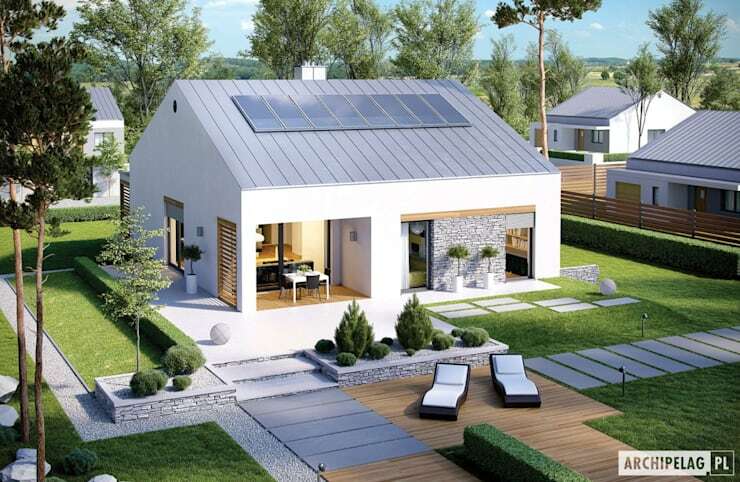 But, if you're still not quite sure what a prefab home is, let us introduce you to it! 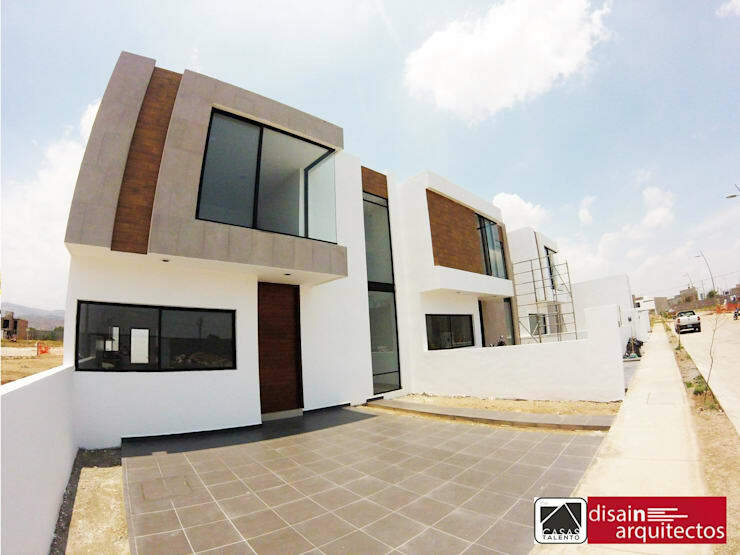 Welcome to the world of prefabricated houses! This modern and increasingly popular type of housing is characterised by the fact that they are usually assembled in a factory, before being transported to the site. This saves on labour costs and construction time. Prefab houses are a wonderful option for people who want a slighter cheaper housing option, without compromising on quality or style. To prove it to you, we've put together 10 low-cost and beautiful prefabricated houses that will blow you away today! 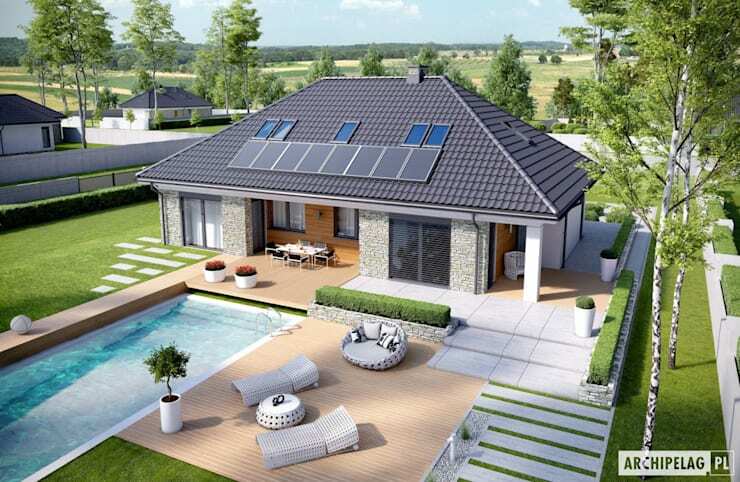 Although a prefabricated house is slightly different to traditional bricks and mortar homes, you still have all of the options available to you when it comes to style and beauty. In this example, we can see how a prefabricated home takes on a gorgeous country-style look and feel, reminding us that there are no limits to this type of architecture. 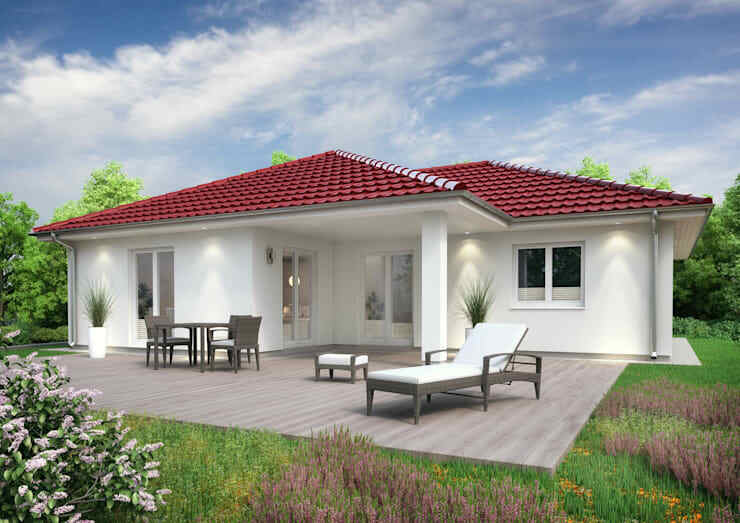 With a spacious garden and a swimming pool, this is definitely a prefab house that would be suitable for families with children. Because the cost of prefabricated houses is lower than that of traditional houses, it is also idea for parents who want to give their children plenty of space to play! 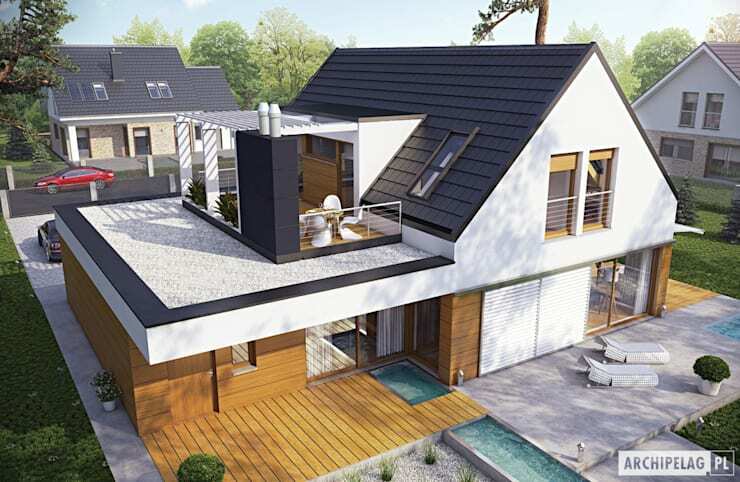 This prefab home features a hermetically shaped roof and a large wooden deck, combining traditional European architecture with very modern elements. The spacious interiors as well as the expansive exteriors provide plenty of space for the whole family to lead a comfortable and enjoyable life. Designed by professionals Rostow Bau, this home features predominantly white tones with a red brick roof. It oozes a feeling of being holiday. Don't you love how the large glass sliding doors open up onto the lavish wooden terrace? A very contemporary style at the moment is to opt for plenty of glass windows and doors, which allow natural light to flow into the home. This is a simple design that opens up the interiors while saving on costs. These beautiful neutral tones and elegant features make for a very attractive family home. 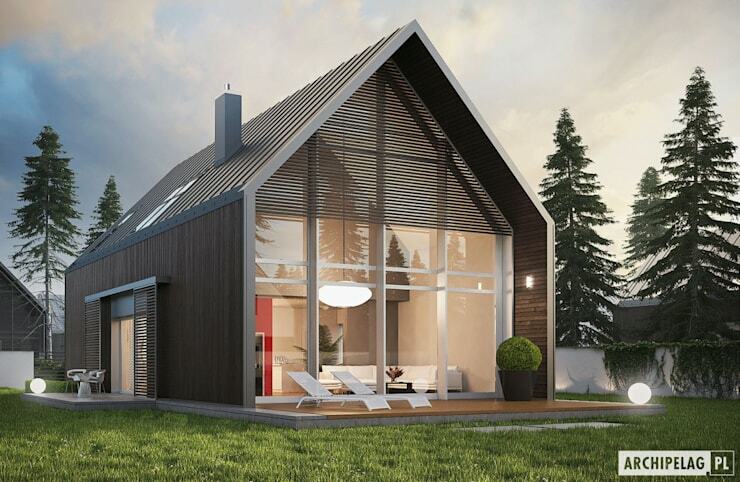 This dramatic gable roof and large, modern glass windows create a prefabricated home that is simply stunning. Who knew that so much potential could exist when it comes to these beautiful structures? 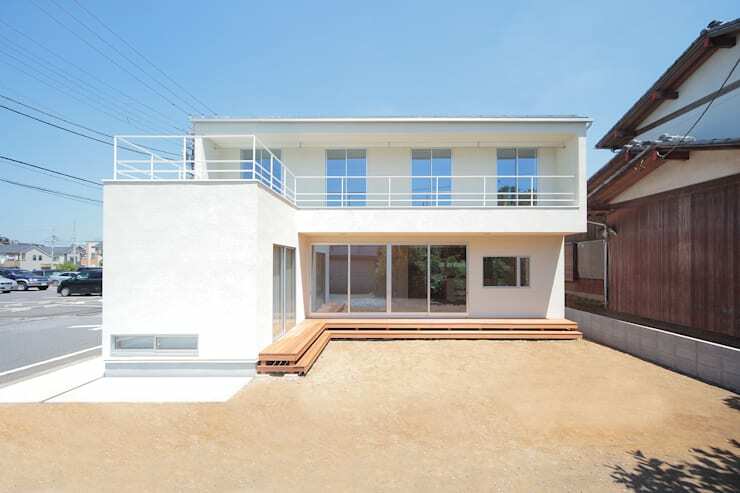 This minimalist white two-storey home is ideal for small families. 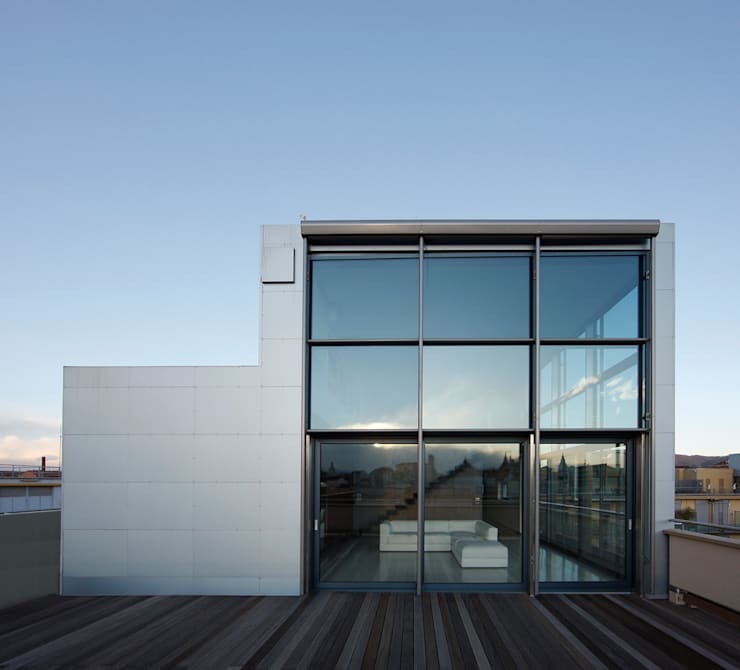 This prefabricated house is amazing! It has a very simple appearance with a chic and modern interior. There is also a large area of outdoor space, which visually and physically extends the interior. Couldn't you imagine relaxing with your family and friends in this glorious home? 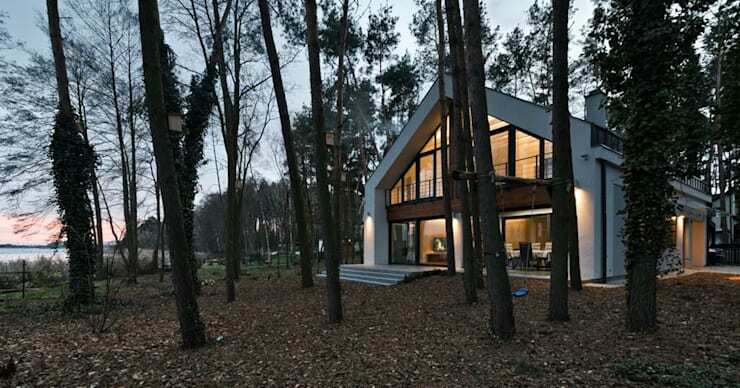 We end off our tour of the gorgeous prefab homes in the woods, where we come across a house that is the perfect combination of traditional and modern. This is also a home that capitalises on the beautiful views. Have you ever seen something so special. 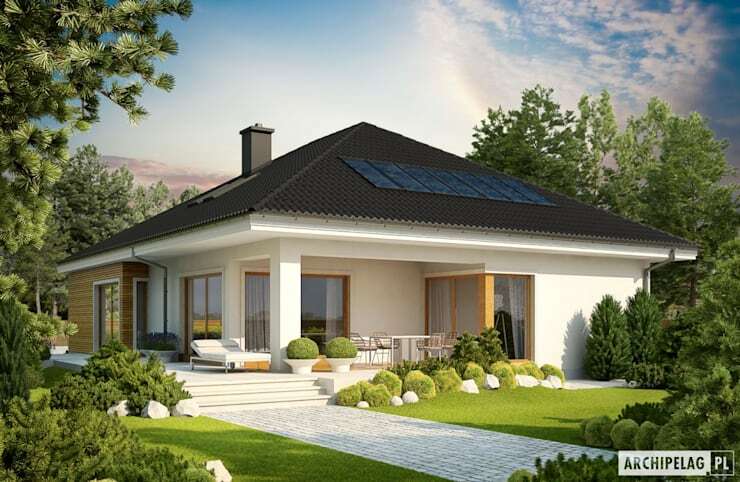 If we have piqued your interest when it comes to prefab homes, also have a look at these: tips before buying a prefab home. Would you go for a prefab home?